The DevOps Enterprise Summit (DOES) just keeps getting bigger and better, so we’re all the more proud to be a part of it. After many years in San Francisco, DOES is coming to Las Vegas for the first time to accommodate their ever-increasing crowds. Why so popular? Since it began in 2014, DOES has consistently managed to attract the top minds from more than 500 major enterprises. But DOES is more than just speaker after speaker. It makes sure to cover all the vital topics in a conference format that gives you the best of all worlds. Hopefully you've already signed up, if not, you'll find out why you should act quickly. Additionally, we're here to give you a full overview of the event and what to expect this year. Want to know who's coming? Check out the demographics graph below and let's get started. DOES is custom-made for large companies dealing with the challenges of DevOps transformation and continuity. It gives the managers and front-line troops involved with DevOps a chance to examine how industry leaders have implemented the culture, technical practices, and architectures of DevOps success. The Summit keeps it all dynamic with a variety of formats that include keynote speakers, breakout rooms, and interpersonal meetups. And, of course, the planet’s biggest DevOps personalities are featured at every show. Gene Kim, who authored the biblical “The Phoenix Project,” will present at several events. Meanwhile, Jez Humble, author of “The DevOps Handbook” and CTO of DevOps Research and Assessment LLC, will share the stage with his CEO, Nicole Forsgren. This year is expected to be even better than previous years. Why? Because based on an observation by Jason Cox at Disney, last year as well as previous years he stated it was a, "great conference for Dev, but it wasn't as great for Ops." Well, in 2018 starting with London 2018, objectives were shifted, and 25% of the topics were geared towards next generation Ops and Infrastructure concerns. That's the plan for Las Vegas 2018 as well. According to Gene Kim he thinks, "the elevation of this topic has fundamentally changed the feel of the conference. In this track, we really make an effort to help define and clarify what exactly the role of Ops leader is, all the technology and organizational changes there have been in how infrastructure is designed, delivered and operated. For more information, here’s the full speaker list. Don't miss out, tickets are almost gone, register quickly here. Three words: Vegas, Vegas, and Vegas. Plus, you’ll get lots of chances to do your real job at networking events that are both structured and unstructured, as well as at parties, breaks, and meals. How Not to Create the Infamous DevOps Team! 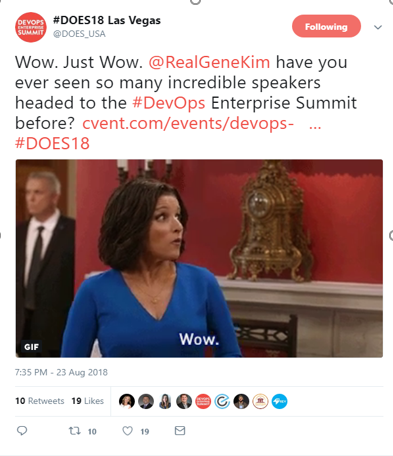 DOES is rapidly becoming the go-to gathering for DevOps pros – don’t miss out on what has been, and will continue to be, the cutting-edge conference for DevOps ideas and practices. 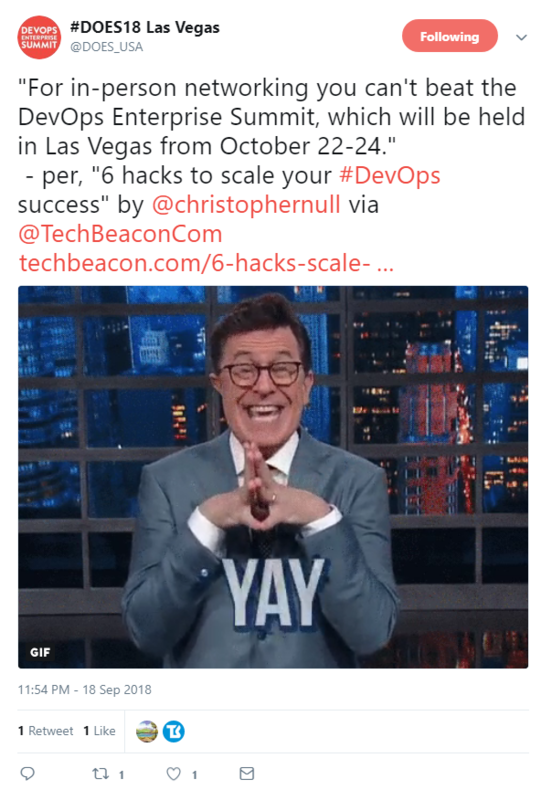 If you go to one conference this year, it should be this one. Coming to DOES? Then visit the DBmaestro team at our booth. We’ll be reporting back to us through this channel our up-to-date reactions and insights about the Summit. Stay tuned!